Luxembourg’s legal system is based on the civil law tradition. The sources of law are international treaties, European Union law, the Constitution, national statutes and regulations, and general principles of law. Theoretically, precedent does not bind judges; each decision must be confined to the particular case. In practice, however, earlier court decisions in comparable cases will be seriously considered. This is particularly the case where a statute is unclear or lacunar, which gives judges the opportunity to make law through interpretation. The case law of the Court of Justice of the European Union affects the case law of Member States. Luxembourg is a Member State and, by virtue of Article 267 of the Treaty on the Functioning of the European Union, Luxembourg courts may request a preliminary ruling from the Court of Justice of the European Union in cases where the interpretation of EU treaties, or the validity and interpretation of acts of EU institutions, bodies, offices or agencies is raised. Civil law proceedings in Luxembourg are conducted, at the first level, in the district courts (there are two districts courts, one in Luxembourg-Ville and the other in Diekirch), which have jurisdiction in all civil and commercial matters for which the law does not confer jurisdiction on a specific specialised court. b the Insurance Arbitration Council hears all disputes relating to the national insurance system (problems of affiliation, qualification to receive pensions, contributions, administrative fines, etc.). There are no dedicated courts for commercial matters; specialised divisions of the district courts deal with these. Appeals are generally brought before the Court of Appeal. By way of exception, appeals against decisions rendered by magistrates are heard before the district courts, except for cases related to employment that remain within the scope of the Court of Appeal. After appeal, if a party still wishes to challenge a legal point, other than on the facts, the case can be brought before the Court of Cassation in the last instance. Alternative dispute resolution such as arbitration and mediation have been generating interest in Luxembourg for some years. In particular the Centre for Civil and Commercial Mediation2 has been very active in promoting mediation in Luxembourg. Specific legislation concerning civil and commercial mediation was introduced in Luxembourg in February 2012. 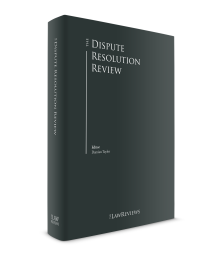 The Luxembourg New Civil Procedure Code (NCPC) provides for rules on arbitration. Luxembourg has also ratified international agreements regarding arbitration, and in particular the United Nations Convention (the New York Convention). This year, the LuxLeaks trial went before the Court of Appeal. The Court of Appeal has partially overturned the judgment of first instance under which the two defendants – two former employees of a major Luxembourg-based audit firm – were found guilty of theft, computer fraud, breach of professional secrecy, breach of trade secrets and laundering for having disclosed and distributed confidential documents to the press related to preferential tax treatment afforded to multinational companies in Luxembourg. According to the appeal decision issued on 15 March 2017, the defendants could not be convicted for breach of professional secrecy as they benefit from the protection granted to whistleblowers under Article 10 of the European Convention on Human Rights, which, following the European Court of Human Rights’ jurisprudence, allows an employee to reveal or disclose hidden or concealed facts, provided that they are of general interest and violate rules of law, ethics or public policy. However, the Court of Appeal confirmed that the employees are guilty of theft and computer fraud. The appeal decision was challenged before the Luxembourg Supreme Court. On 11 January 2018, the Supreme Court partially reversed the decision of appeal, stating that the recognition of the special status of whistleblower must be based on an overall appreciation of the facts in question, which means that the protection afforded to whistleblowers should, as a matter of principle, cover all breaches committed by a defendant who may avail himself of this status. In this regard, a distinction was made by the Supreme Court between the two defendants. While the Court considered that one of the defendants could not be found guilty of any criminal offence in view of the disclosure of the tax documents he held, it ruled that the other had been rightly sentenced by the Court of Appeal since the tax declarations he released did not provide for any unknown information that might have contributed to or reopened the debate on tax evasion. This might not, however, be the last step in the trial process, as the second defendant has already publicly stated that he will bring an action before the European Court of Human Rights. Regardless of the outcome of this case, it is clear that the ruling from the Court of Appeal, as partially upheld by the Supreme Court, reflects a general trend towards more transparency in Luxembourg tax practice. Some interesting legislative developments should also be stressed. On 17 February 2017, the European Regulation No. 655/2016 of 15 May 2014 establishing a European account preservation order procedure to facilitate cross-border debt recovery in civil and commercial matters (the EAPO Regulation) has entered into effect. The EAPO Regulation provides a procedure for a creditor to obtain a preservation order to secure payment of pecuniary claims in civil and commercial matters in cross-border cases. The Luxembourg legislator has implemented this Regulation by the Law of 17 May 2017. This Act has introduced the Article 685-5 into the NCPC. Under this provision, a request for obtaining a preservation order has to be made before the Magistrates Court for claims under €10,000 or before the District Court for claims of more than €10,000. Also, under the same Act, a new paragraph has been added to Article 2 of the Law of 23 December 1998, which confers authority to the Luxembourg Financial Regulatory Authority, as the national information authority within the meaning of Article 14 of the EAPO Regulation, to deliver the information necessary to allow the bank(s) and the debtor’s account(s) to be identified in order to facilitate enforcement of a preservation order. Finally, the fourth Money Laundering Directive (Directive 2015/849) has been implemented into Luxembourg legislation. As a result of this implementation, the scope of the Law of 12 November 2004 on the fight against money laundering and terrorist financing (the AML Law) has been extended. More specifically, the obligations as regards the identification of ultimate beneficial owners have been increased so as to include as many corporate forms as possible. The main rules governing court procedure are laid down by the NCPC. First instance civil proceedings and proceedings before the Court of Appeal differ from first instance commercial proceedings and proceedings before magistrates. The main stages in court proceedings are as follows. e handing down of the judgment. c handing down of the judgment. As a principle, judges strive to provide strict guidance on the time frames for the exchange of written statements, documents and expert evidence. This is done by issuing written notices or by calling parties before case management hearings where the progress of the case is assessed. It is difficult to estimate the average duration of civil proceedings as it varies depending on the number of parties involved, the complexity of the matter and whether it is pending in front of first instance courts or on appeal. Class actions are not allowed under Luxembourg law. However, professional groups or associations representing a particular interest are entitled to take legal action before the courts for collective damage. The admissibility of claims brought by these groups and associations will be subject to evidence that the legal action is motivated by a specific corporate interest and benefits all the members of the group. But if the claimed interest corresponds to the general interest, the legal action is in principle declared inadmissible. Representation by a lawyer who is a member of the Luxembourg Bar is compulsory before the district court (with some exceptions, such as in commercial proceedings) and before the Court of Appeal, whereas parties can appear before the magistrates either in person or through a representative, who might be a lawyer, spouse, parent, etc. The following rules apply to service out of the jurisdiction regardless of whether the recipient is an individual or a corporate entity. If a document (a writ of summons or a judgment) related to a civil or commercial matter needs to be served in another EU Member State, the applicable rules are those in EU Regulation No. 1393/2007 of the European Parliament and of the Council of 13 November 2007 on the service in the Member States of Judicial and Extrajudicial Documents in Civil or Commercial Matters (Service of Documents), and repealing Council Regulation (EC) No. 1348/2000. This Regulation provides for different ways of transmitting and serving documents: transmission through transmitting and receiving agencies, transmission by consular or diplomatic channels, service by postal services and direct service. Transmitting agencies, determined by each Member State (the bailiff and the court clerk in Luxembourg), effect the transmission of judicial or extrajudicial documents to be served in another Member State. Receiving agencies, determined by each Member State (the bailiff in Luxembourg), are competent to receive judicial or extrajudicial documents from another Member State. Luxembourg is also party to the Hague Convention of 15 November 1965 on the Service Abroad of Judicial and Extrajudicial Documents in Civil or Commercial Matters. This Convention provides that each party must designate a central authority (the Public Prosecutor of the Superior Court of Justice in Luxembourg) responsible for receiving requests for service arising from a foreign authority or judicial officer (with respect to civil or commercial matters) and dealing with them, as well as supplying information to the transmitting agencies and seeking solutions to any difficulties that may arise during transmission of documents for service. In the absence of any applicable international provision (EU regulation, international treaty or bilateral convention), the NCPC applies to service abroad. The bailiff sends a copy of the judicial document to the domicile of the recipient by registered letter with acknowledgment of receipt unless the foreign state does not accept this kind of service, in which case the bailiff will require the Ministry of Foreign Affairs to serve it by diplomatic means. The enforcement in Luxembourg of foreign judgments rendered in a country outside the EU is possible once such judgments are given an enforcement title by the Luxembourg District Court. As for judgments originating in an EU Member State, Council Regulation (EU) No. 1215/2012 of the European Parliament and the Council of 12 December 2012 on the Jurisdiction, Recognition and Enforcement of Judgments in Civil and Commercial Matters, which came into force on 10 January 2015 and replaces Regulation No. 44/2001, provides for the direct enforcement of judgments throughout the EU by means of a simplified procedure whereby the district court will only check if the required set of documents is complete, without any review of the merits of the case. Council Regulation (EC) No. 1206/2001 of 28 May 2001 is designed to improve, simplify and accelerate cooperation between the courts of the Member States in the taking of evidence in civil or commercial matters. e a deposit or advance relating to the costs of consulting an expert has not been made. Luxembourg is furthermore party to the Hague Convention of 18 March 1970 on the Taking of Evidence Abroad in Civil or Commercial Matters. Under this convention, a judicial authority from another contracting state may, in civil or commercial matters, ask the Public Prosecutor of the Luxembourg Superior Court of Justice to obtain evidence. Luxembourg is party to the European Convention on Information on Foreign Law of 7 June 1968. This convention obliges the parties to undertake to supply information concerning their law and procedure in civil and commercial fields as well as on their judicial system. Each contracting state must set up or appoint two bodies: a ‘receiving agency’, to receive requests for information from another contracting state and to take action on its request (the Ministry of Justice in Luxembourg), and a ‘transmitting agency’, to receive requests for information from its judicial authorities and to transmit them to the competent foreign receiving agency (again, the Ministry of Justice in Luxembourg). The requested state may not refuse to take action on the request for information unless its interests are affected by the case that gave rise to the request or if it considers that the reply might prejudice its sovereignty or security. Court hearings are public, meaning that everybody may attend and listen to the trial. However, third parties are not supposed to have access to the documents on file (i.e., submissions, pleadings and supporting documents). Judgments dealing with interesting legal issues or particular matters are published in legal journals. Furthermore, in specific areas (for instance, a judgment declaring a company bankrupt), the judgment is published in a local newspaper and made available to the Trade and Companies Register. It is possible for a third party to finance litigation proceedings in which it is not involved. Depending on the circumstances, this funding could be regarded as a loan or a donation. When the litigation involves a corporate entity that is part of a group of companies, in practice the entity’s fees will be funded by the mother company or by the beneficial owner. The law governing the profession of attorney expressly forbids an attorney from assisting or representing parties with conflicting interests. c refusing cases against parties who are regular clients of the attorney. Rules governing conflicts of interest apply to all attorneys working in the same law firm. Although not regulated by law and professional regulations, Chinese walls are in practice set up subject to the interested clients’ prior approval. The Luxembourg law of 12 November 2004 as amended on the Fight Against Money Laundering and Terrorist Financing provides for specific obligations, particularly for lawyers assisting their clients in the context of (1) transactions in respect of buying or selling of real estate or business entities, (2) management of money, securities or other assets, (3) opening or management of a bank or securities account, (4) organisation of contributions necessary for the creation, operation or management of companies, or (5) creation, domiciliation, operation or management of trusts, companies or similar structures. c cooperation with the Luxembourg authorities in charge of the fight against money laundering and financing of terrorism (mainly, the Bar and the Public Prosecutor), including reporting suspicions. The attorney’s professional duty of confidentiality does not apply in this respect. Any operation or set of operations whereby personal data is, for example, collected, recorded, organised, stored, retrieved, consulted, used or disclosed by transmission, dissemination or otherwise being made available, including operations performed by lawyers in the normal course of business, are considered as processing of personal data and therefore fall within the scope of the Law of 2 August 2002 on the Protection of Individuals with Regard to the Processing of Personal Data, as amended, and of the Law of 30 May 2005 concerning specific provisions for protection of the individual in respect of the processing of personal data in the electronic communications sector (the Data Protection Law). b the data controller, although not established on Luxembourg territory or in any other Member State of the European Community, uses a means of processing located on Luxembourg territory, with the exception of processing used only for the purposes of transit, regardless of the method used to collect the user data. In this respect, the data processing of information, which is defined as ‘any information of any type regardless of the type of medium, including sound and image, relating to an identified or identifiable natural person’ (data subject), must comply with the provisions set out under the Data Protection Law. b it is necessary for the performance of a contract to which the data subject is party or in order to take steps at the request of the data subject prior to entering into a contract. As regards the access and analysis of data, such processing will need to comply with the provisions set out in the Data Protection Law, but will be exempted from the notification obligation to the CNPD (see above). b request their consent via the lawyer’s terms and conditions. As a rule, the transfer of personal data is not restricted within the EU, provided that data subjects are duly informed of such transfer. However, the data controller may not transfer personal data outside the EU to a state that does not offer a sufficient level of protection of individuals’ privacy, liberty and fundamental rights with regard to the actual or possible processing of personal data. c the conclusion or performance of a contract, either concluded or to be concluded in the interests of the data subject between the data controller and a third party. The data controller may also transfer personal data to a non-safe country if duly authorised by the CNPD. Unlike in-house lawyers, attorneys and law firms are subject to rules of privilege provided for by Luxembourg law relating to the profession of attorney. As a matter of principle, communications between attorneys and their clients are confidential. Communications between one Luxembourg attorney and another are also confidential unless otherwise specified or if the communication is by nature non-confidential. Relationships between Luxembourg and non-Luxembourg attorneys are governed by the Code of Conduct for European Lawyers. According to the Code, communications between attorneys are in principle non-confidential unless otherwise expressly specified in a covering letter or at the head of the communication. Any party must evidence the facts on which it bases its claim or its defence. Supporting documents must be communicated to all the parties involved in the litigation as well as to the court. Depending on the type of case (civil or commercial), the proof must consist of written documents or may also be brought through a witness statement or hearing. Legal presumptions may also apply. In each case, the court itself assesses the credibility of supporting evidence. If relevant, a court may, either by itself or at the request of one of the parties, appoint an expert responsible for examining documents stored electronically or other technical issues. In relation to documents stored overseas, courts may use mechanisms applicable for assistance in evidence (see above). A court may also, either by itself or at the request of one of the parties, order a party to the proceedings or a third party to deliver documents considered as relevant. Arbitration is commonly used in Luxembourg to settle contract and commercial disputes. Owing to the geographical and economic position of the Grand-Duchy, Luxembourg-Ville is more and more often chosen as a seat of arbitration, especially for cross-border disputes arising between parties from neighbouring countries such as France and Germany. The rules governing arbitration proceedings are mainly provided for by the NCPC. Luxembourg has also ratified international agreements regarding arbitration (including the United Nations Convention on the Recognition and Enforcement of Foreign Arbitral Awards, signed in New York on 10 June 1958). In addition, the Luxembourg Chamber of Commerce has its own Arbitration Centre, created in 1987, and has put its Secretariat at the service of parties interested in using arbitration to settle their dispute. Arbitration can only take place if both parties have agreed. The agreement to arbitrate is made through an arbitration clause included in the contract or, after the performance of the contract, through the conclusion of a written agreement to arbitrate. According to Article 1224 of the NCPC, a dispute may be submitted to arbitration provided that the issue at stake relates to rights of which parties have free disposal. Therefore, disputes involving family law, criminal law or, more broadly, involving public policy, cannot be subject to arbitration. b Institutional arbitration: most often, the parties will agree to use the rules of an established organisation such as the Arbitration Centre at the Luxembourg Chamber of Commerce or the International Court of Arbitration of Paris. Arbitral awards under Luxembourg law have the same legal effect as a court judgment. However, in order to be enforceable, an arbitral award requires an enforcement order issued by the president of the district court of Luxembourg. The only possibility to challenge an arbitral award is to take an opposition procedure against the order of the president of the district court to have it declared null and void. Specific legislation concerning civil and commercial mediation was introduced in Luxembourg by the Law of 24 February 2012 on the Introduction of Mediation in Civil and Commercial Matters. The Mediation Centre of the Luxembourg Bar (CMBL) was set up on 13 March 2003. The CMBL can be contacted by any legal entity or individual within the context of their civil, commercial or labour dispute resolution. The mediator is then chosen from a list approved by the CMBL, taking into consideration the nature of the dispute and the wishes of the parties. At the beginning of the process, the mediator must ensure that the parties sign a mediation agreement in which they undertake to settle their dispute through mediation. The mediation procedure is entirely confidential. The mediator’s mission is to help the parties negotiate a solution. Claims against a public administration body may be submitted to an ombudsman. The ombudsman analyses the claim and issues a recommendation to the public administration body as to whether he or she finds the claim founded. In practice, especially when the outcome of a dispute is not obvious, parties tend to negotiate and enter into out-of-court settlement agreements. These kinds of arrangements are usually confidential. They are very common in labour law cases. Settlement agreements have the authority of res judicata. No major reform of the judicial system or rules of procedure are expected in the forthcoming months. However, the Luxembourg Consumers Association ULC has recently taken the lead in a series of individual civil actions brought by consumers against prominent car dealers in Luxembourg. These individual actions are all related to the VW ‘Dieselgate’. They are intended to obtain damages for unfair commercial practices for the sale of vehicles whose environmental performance were allegedly misrepresented in view of the rigging of emission tests by the German car manufacturer. This case is of some interest, as it will most certainly clarify the extent of the provisions of the Luxembourg Consumer Code regarding unfair commercial practices. It might also reopen the debate on the introduction of a class action in Luxembourg procedural law. 1 Michel Molitor is the managing partner at Molitor Avocats à la Cour SARL. 3 Articles 4 and 5 of the Data Protection Law. 4 Article 12.2(c) of the Data Protection Law. 5 Articles 26 and 28 of the Data Protection Law. 6 Article 5.3 of the CCBE Code of Conduct. 7 Article 1230 of the NCPC.